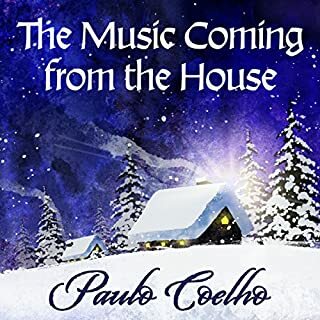 The Music Coming from the House by Paulo Coelho is a story of human values and the Christmas spirit. nice short story for the holidays to give u the feels.. would love a compilation of these. Most disappointing abt the story was the stupidity of all the characters including the namesake Bride character. If ever I had come across a fictional ghost too stupid to haunt properly, this was it. The living characters were intolerable and annoying and at some point you wanted them all dead. Making fumbling mistakes and every turn and then by luck not getting what they deserve. The acting was a few shades overdone and at many points you wonder how it would look if this really was a movie... having all the characters visibly overreacting when they shouldnt. Sad because the premise of the story could have been truly excellent. I don't know why the writer fudged this so bad - as if he wanted it to fail. As if he hated all his characters in turn and wanted them to be ridiculous. 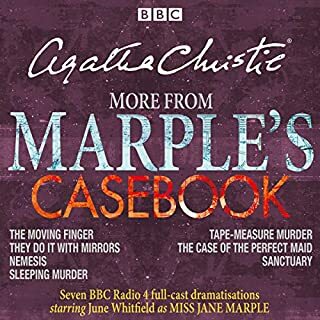 Luckily this audiobook was free. Enjoyed fhe performance and the high spirited yarn. started out very well and got me hooked but at some point the many mishaps and well the daftness of Maeve got on my nerves. I just wanted the story to be done by then. I guess I should remind myself that it's a YA or children's novel so I should taper my expectations. The story premise had so much promise. But the author took it in a dissapointingly slow and anti-climactic route. At least 10 chapters and 8 chracters could have been cut out and it wouldn't have made a jot of difference to the overall story line. It was as if the writer had a 3 chapter story but wanted the novel tag so spun nonsense for another 20 plus in hopes no one would notice. I don't know who I would recommend this to but evidently frm the reviews some ppl like it. I am so so sad because the book well and truly could have been spectacular. It's not new; it's not unique; it's not compelling; nor profound but it is such good, sweet fun, you can't help but feel upbeat after listening to it. The characters all got what they deserved and a nice, cosy happy ending to boot. If you're feeling down in the dumps, I would highly recommend you give this a listen! 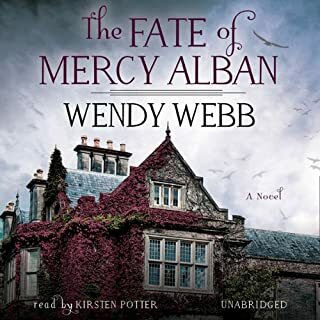 I really enjoyed this one much better than the last book of Webb I listened to. 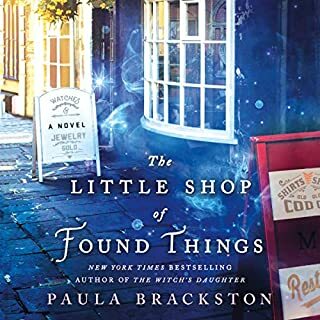 The story had just enough mystery, love, feel good drama, and fairytale. It is a little Grimm, a little chick-lit, a little murder mystery all rolled into one. It's not mind-blowingly unique but it's a decent story and I felt like I really wanted to know how it end. 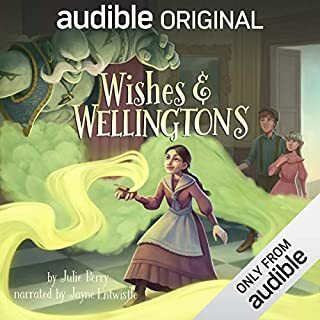 Can't put my finger on why this narrator annoys me but she just does. I nearly gave up on the book because of her but thankfully persevered. Terror haunts a remote Scottish Glen. Heartbroken Anna MacDonald leaves Edinburgh to find peace at the edge of a Scottish loch. Safely ensconced in her late grandmother's cottage, she can finally heal her heart and write the novel that has burned inside her for years. Her peace is short-lived. 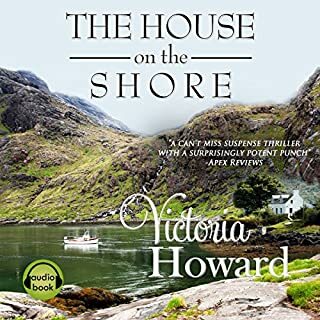 When debonair artist Luke Tallantyre's yacht gets stranded in the loch, he seeks help at the nearest residence - Anna's croft. Nothing unique or hard hitting here. But if you like your romances and plots predictable, this makes good white noise when you fold the laundry. 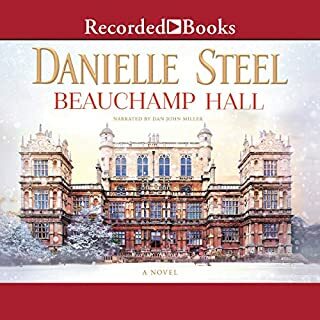 The heroine is annoying, bordering on stupid, and quite uselessly oblivious through most of the book so if you like feisty, intelligent Lizzy Bennett types - this isn't the book for you. All the characters truly stayed wondrously 2 dimensional and I found it hard to really care about any of them. But that's why I say: good laundry soundtrack. If you want nice, mindless listening for an afternoon, this will do the trick nicely but if you expect actual sense and nice rounding up of loose ends, you will be sorely disappointed. The side love story is cute and I found the characters at least likeable if not greatly interesting. If I had a dime for everytime 'icy cold spines' were mentioned, I'd be as rich as the Albans. SPOILER... Don't read further unless you want the ending ruined for you! (more than was already ruined by the author herself). The entire story hinges on a batty old lady that everyone appears afraid of... is she possessed? is she batty? is she just mean and bitter? 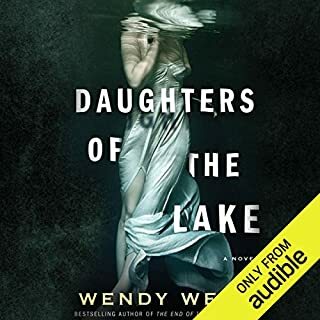 It sounds almost stupid that a heroine can be so afraid of her aging aunt and even if the author wanted us to believe the aunt was supernatural in some way, she rather fell short of doing anything supernatural at all. Other than being really rude by eavesdropping, laughing at importune moments, having bad makeup skills and being somewhat smarter than everyone else in the story, she really didn't do anything supernatural at all. The story never explained why her brothers died, if there really was a curse, and lots of other seemingly pointless drama that was thrown in probably for atmospheres sake. But as I said, don't think, and don't question and you just might enjoy this yarn. I love these dramatised adaptations that bring ACs books to life. These are spectacularly done but too short! Would love to have them longer because that is how good they are! 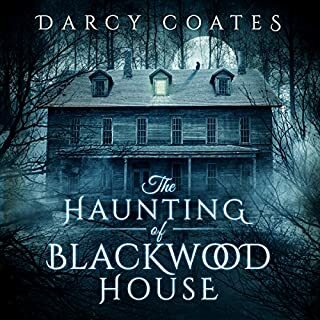 The heroine is irritating but I found myself rooting for her because the ghost was equally if not more irritating. The story line was good but character development was nil and characters often make or break a story. The couple, Mara and Neill, sound like right out of a cheap 20c romance from the 1950s. Romantic encounter descriptions are painstakingly described in cliched, limited vocabulary which makes one wonder if the writer is single and a virgin... or just terrible at writing abt intimacy. Either way, a pretty decent ghost story was ruined by the writer's fumbling attempts at a romantic subplot. You could cut all of it out and have a much better, tighter ghost story. So maybe it's the editor who needs the chop. 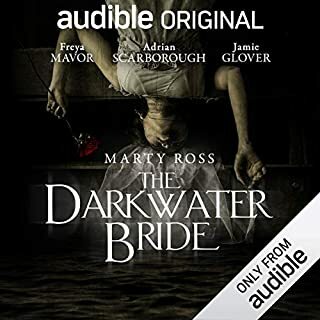 The narrator was good though and tried her best to make Mara sound human and likable but there's just so much tone can do with a thin, ridiculous script.